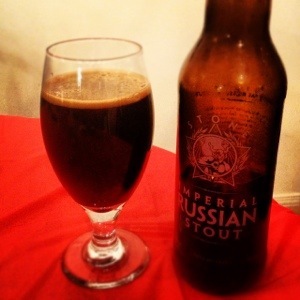 Day 28 @StoneBrewingCo Russian Imperial Stout. Pours thick and dark. Chocolate is prevalent with coffee undertones. Alcohol is present but mild. Even better as it warms up.